DO YOU WANT TO IMPROVE YOUR SNOOKER GAME? If you are looking for a way to improve your game, then there is no better way than to hire the services of a professional snooker coach. I coach players of all ages and all ability levels and I'm sure I can help you to improve your game. Visit my coaching page for further details about rates, availability and the different sessions that are available. I once made 7 hundred breaks in 9 games against snooker legend Wally West! I made my very first 147 break on my 25th birthday! Thanks for last night . Just did a two hour solo . Managed 7 reds 7 colours ( black / pink ) once . Plus managed 4 x 30+ breaks . Cued much better and confident . It's beginning to click . I'm buzzing . "I thoroughly enjoyed my first snooker session with Patsy. He is not only a great coach with brilliant technical insight but he is a really nice guy - we had great fun and I'm looking forward to my next session". "I have been a professional for 14 years and played and mixed with the best but never met anyone with patsys wide range of knowledge of the game". "What I particularly like about Patsy's coaching style is the way he keeps me motivated and focussed even when I'm having an off day - my highest break before coaching was 34; it's now 95. I've been having lessons for three months". 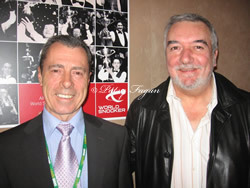 Born in 1951 in Ireland, I began to play snooker at the age of 15. I became professional in 1972 and won the UK Snooker Championship in 1977 defeating John Virgo in a nailbiting semi-final 9-8 and Doug Mountjoy in the final 12-9. Following my retirement from the game I have met some wonderful people in professional snooker but what gives me most satisfaction is snooker coaching at the amateur level. I coach some of the countries finest talents including World Number 83 Alfie Burden. These days, I enjoy attending snooker events around the UK. I am lucky to have met some wonderful friends in the world of snooker and am pictured with some of these friends below. 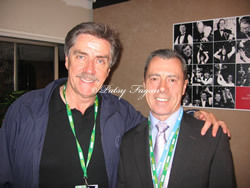 You can find more pictures in my snooker gallery. 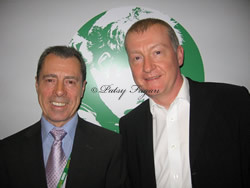 You will also find some testimonials from some of snooker's most famous names throughout the site. Patsy and I met in 1973 when he came into my local club in Charlton, Manchester to play a money match against me. We turned professional around the same time in 1977 and we are both UK Champions - Patsy won the tournament in 1977 and myself a couple of years later in 1979. We still remain great friends to this day. I would not hesitate to recommend Patsy as a coach to any player - his knowledge of the game is second to none.